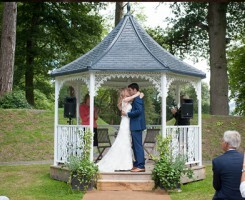 A unique and beautiful marquee wedding venue, Tracey Estate is a privately owned parkland estate. A little known gem nestled in the heart of the Devon countryside, part of the Blackdown Hills designated an Area of Outstanding Natural Beauty. Look around the website and imagine how magical your wedding day might be. 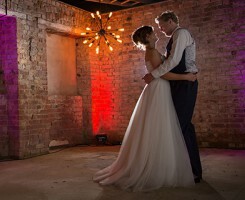 Tracey Estate is a marquee venue, ideally suited to couples who are looking to put together a unique day that best suits their character. Make your wedding day magical. Tracey Estate boasts 25 acres of gardens, 400 acres of woodlands and the recently restored Stable block which is now the main house. Incredible photo opportunities for your wedding day.